Many students do not stay at home when getting cold, they go on visiting the university in order to be on lectures and seminars. Still, doctors say it is not worth to risk. One of Rochester’s Mayo Clinic doctors says, that if you feel that bad you think on the possibility to stay at home, you betted do not go anywhere and stay under a warm coat. This is the advice of infectious diseases specialist. Remember, the point is not only about your health. You can endure your flu, maybe, but it can be lethal to other people around. It is especially dangerous to get infected for pregnant women, little children and people after their 60. Infection is mostly being spread by air. 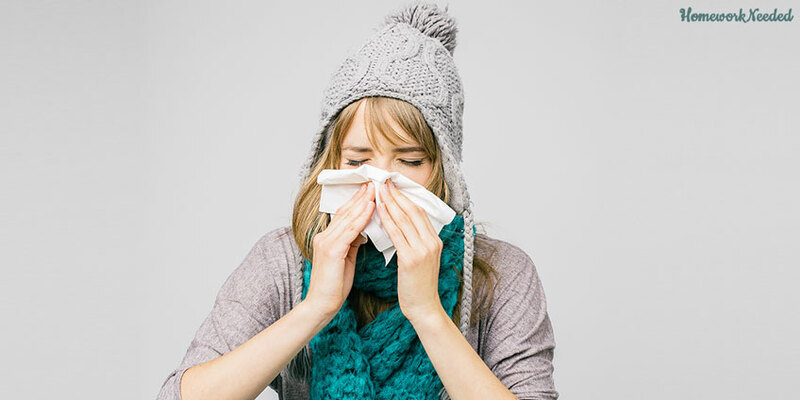 In addition, when you cough and sneeze, you usually close your mouth with a hand, and then bacteria’s are left on everything you touch with your fingers: door handles, elevator buttons, shoping carts at the supermarket, etc. Influenza virus can remain active up to 24 hours depending on a surface it got on. Doctors recommend to stay at home until your body temperature falls down to normal level. If you can stay there on the next day additionally, you better do that. Of course, it is possible to infect other people before you feel symptoms by yourself. Still, you are the most infectious for humans around you when you have a high temperature. Wear a mask to prevent bacteria’s from spreading through the air. Take a medicine for denying your symptoms.